Games, websites, apps—it's all just about getting started. Fortnite, what Polygon calls the "biggest game of 2018", is a hit among teens. This year, Fortnite has gone beyond computer and kids reaching mainstream levels of awareness—from mentions in songs to chats on morning talk shows. For those who don't know, Fortnite, from maker Epic Games pits a player against 99 other players on an island, where they all must duke it out Battle Royale-style until there's just one standing. 18 year old Robbie Jandik, once just another Fortnite fan, was playing the game with a friend one night when he decided to make an app that would choose where the game should "drop" him. The drop point in Fortnite is where you land first, determining how much loot is available in that area. More than 50,000 have downloaded Jandik's app since its release and has hit No. 159 in Apple's top 200 reference apps. The teen is continuing to add tips and tricks to the app. Jandik teaches us a good lesson, one that Cisco VP and DevNet co-founder Susie Wee says all the time, you are a developer. A programmer isn't just a mystical name we give those with tons of experience and degrees—it could be anyone, right now. And you can begin with DevNet. 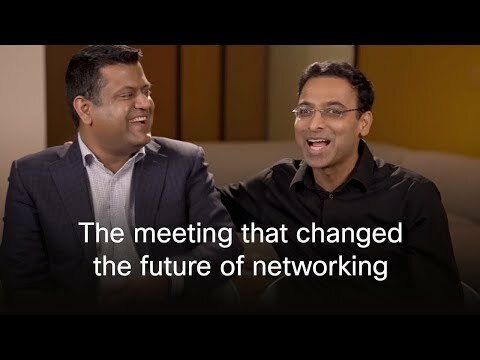 Cisco's Developer Network (DevNet) is a space for everyone to learn, code, inspire, and connect. Through DevNet courses, one can begin their developer journey and learn network programmability. DevNet developers are encouraged to build apps with Cisco APIs, and can learn how to integrate with Cisco tech through different labs. DevNet has just released even more learning tools for those looking for an in-person experience usually limited to a conference like Cisco Live. NetDevOps Live! is a weekly 60 minute webinar where programmers take a deep dive into network topics like configuration management, source control, and artificial intelligence. 500,000 developers and counting have joined the community so far. The team have also created a game called Census, an open-data web game that presents different emergency missions. Players take on superhero identities to find hidden data and help save the day. The purpose of Census is to show how census data is crucial for representation and resources, and how a Cisco team can create real change using open data and Cisco platforms. You can play it here. And to learn more about DevNet and becoming a developer, click here.